Roma have appointed former coach Luciano Spalletti as successor to Rudi Garcia, who was sacked on Wednesday. 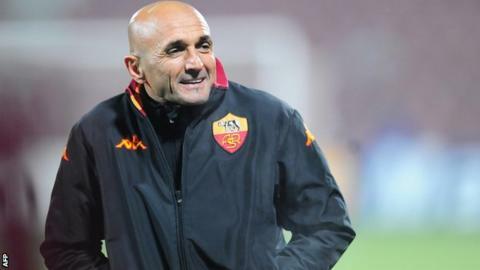 Spalletti, 56, coached Roma from 2005 to 2009, twice winning the Coppa Italia, before he resigned and joined Russian club Zenit St Petersburg. The Italian won two league titles during his time in Russia but he was sacked by Zenit in 2014. Garica was dismissed by Roma after a poor run of results that saw the Italian side drop to fifth in Serie A.
Roma have been drawn against Real Madrid in the last 16 of the Champions League having qualified from the group stage with the lowest number of points.